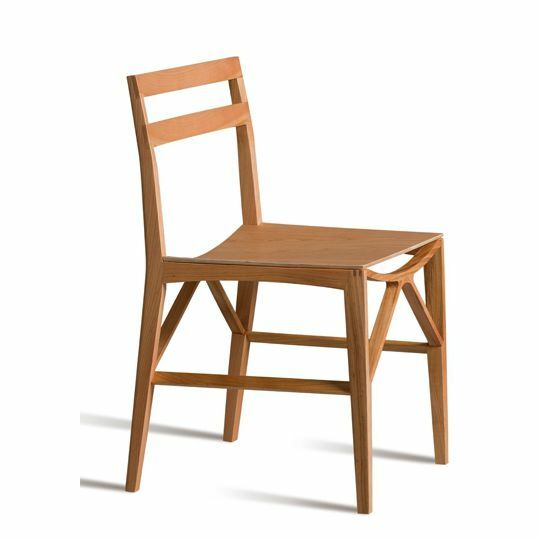 Lightness and geometry characterize the shape of the Celeste, an elegant chair entirely made of wood. The particular structure of the bridge legs allows an even distribution of the weight with a thin and lightweight frame. Chair made of solid cherry wood and seat in beech plywood veneered with cherry. The particular bridge structure allows to equally distribute the weight and to reduce weight and thickness.